Analogue TV switched off in Granada region today – paving the way for Freeview HD | What Hi-Fi? This means owners of older analogue TVs in the Granada region with no Freeview or other digital set-top box connected will no longer receive a picture. The move paves the way for the start of Freeview HD transmissions, which are due to start today from the Winter Hill transmitter. DVB-T2 (MPEG-4) test transmissions for Freeview HD have also started on the Crystal Palace transmitter in London, and will be followed by four more regions in the first half of 2010 – the North East, Leeds/Bradford, Glasgow and Birmingham. But currently there are no Freeview HD televisions or set-top boxes on sale, so members of the public will not yet be able to watch the new Freeview HD transmissions in their homes. Contrary to statements earlier this year by Richard Lindsey-Davies, head of the UK's Digital TV Group, that "everything is looking good for the product [Freeview HD boxes] to go into the market by the end of 2009," such devices have not yet materialised in the shops. 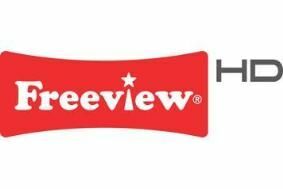 The major marketing push for Freeview HD is now expected to be next Easter. "It's only a matter of months until the consumer launch next spring," says Freeview MD Ilse Howling. "Freeview HD equipment will begin going on sale in the shops from early in the New Year, and the HD channels from ITV and Channel 4 will complete the line-up ready for the consumer launch ahead of the World Cup." We've been invited to a demo of the first Humax Freeview HD box on December 9th, so will bring you more information then. All we've been told so far is that the Humax set-top box will go on sale in "early February 2010". In a statement on its website, the Digital TV Group says: "When the transition [to digital TV] is completed by late afternoon today, Freeview, BT Vision and Top-Up TV equipment should be retuned in order to receive all the channels available. "A small proportion of viewers may not receive their preferred BBC or ITV services from today, or may find that Channel 4 has moved to a different button to be replaced by S4C. This is because digital TV signals, like analogue ones, overlap between regions." Advice on how to restore your preferred regional services is available online at www.digital.co.uk/retuning or by phoning 08456 50 50 50. Eligible older and disabled viewers can apply until January 2nd 2010 for practical help from the Switchover Help Scheme to convert one television by ringing 0800 408 7654.